Here are some quick shots of a few new styles for summer, all available for sale now at The Hat Shop in New York city. The following two cocktail hats are so brand new, they're as yet unnamed. 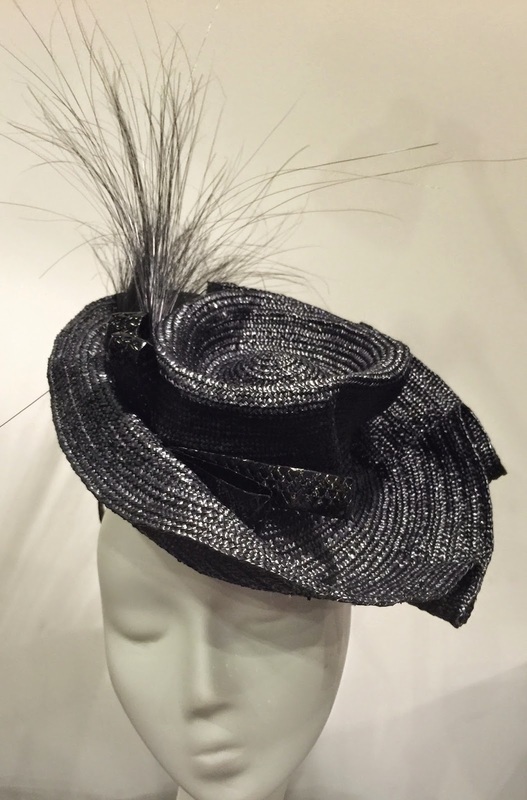 The first is hand draped in one-of-a-kind straw with vintage braid trim. 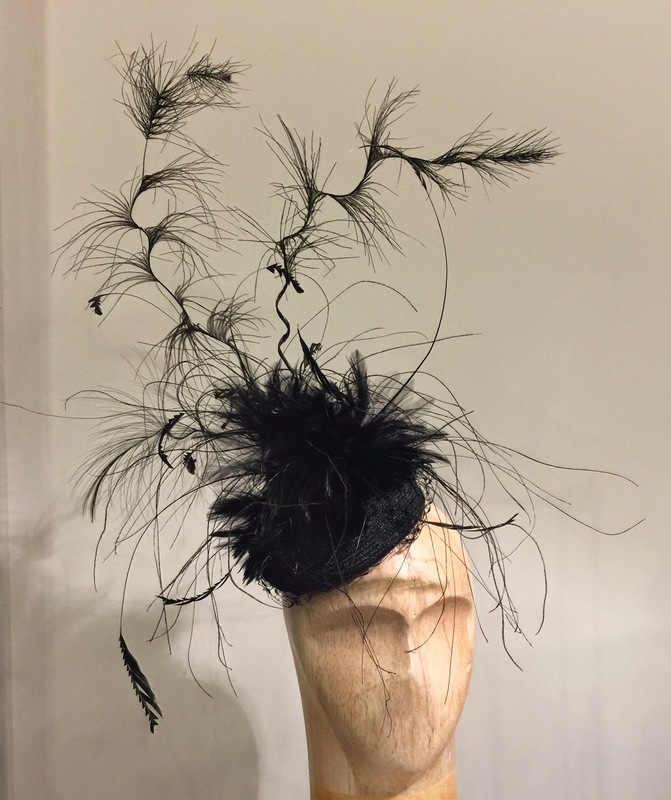 Another hand-draped cocktail hat, in vintage Florentine straw. 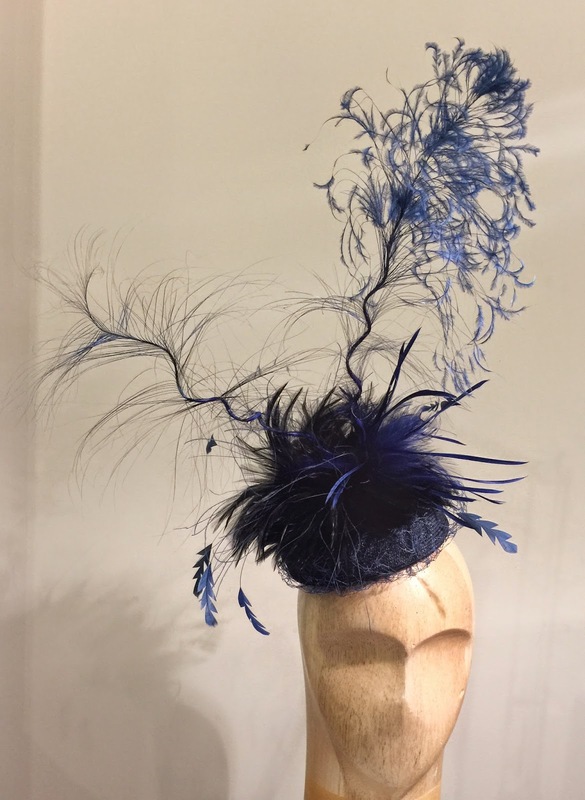 'Art of Motion' feather sculpture mounted on a sewn straw braid mini pillbox. In black and navy. Coming soon also in red and other colors. 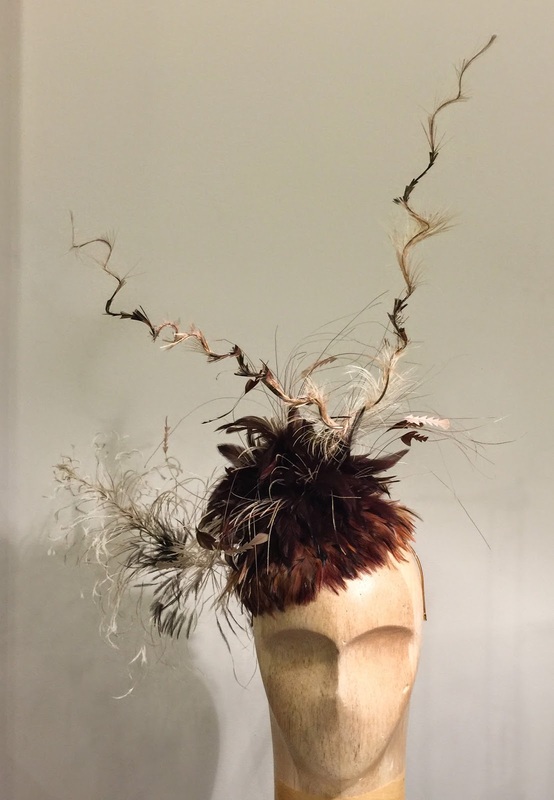 'Silent World Special', another feather sculpture cocktail hat, this one is mounted on a headband. 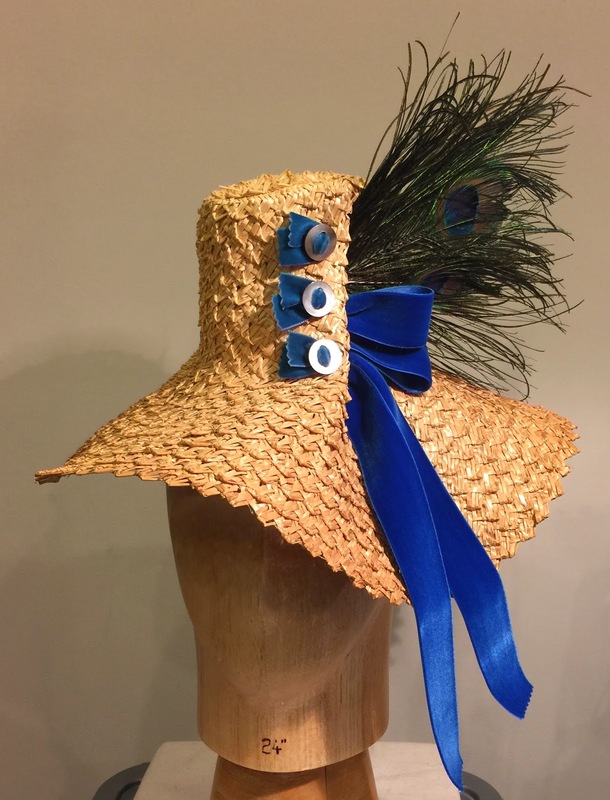 'Gretchen' draped percher picture hat in vintage Florentine straw.